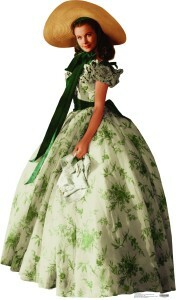 Scarlett O’Hara might have had the right idea. And, no, I’m not referring to her 17″ waist. I have two kids, a fondness for jelly donuts, and a love of beer that will never make that possible. But right now, I’m really buying into her famous quote: “I’ll think about that tomorrow.” Genius, that lady. I have stinky piles of laundry overflowing from the hamper. But I’ll think about that tomorrow. I have a toddler that has developed recurring vampire tendencies, who, more often than not, has been getting sent home from preschool with discipline notes. Each day I pick him up, I wonder which victim he has chosen to sink his little teeth into. But I’ll think about that tomorrow. I have a day job that is currently causing me more stress than I’ve ever experienced in my 14-year stint at the company. Some days, I feel like it may give me an ulcer. Or drive me to drink more beer. The latter might not be a bad thing, but my poor liver might beg to differ. But, still, I’ll think about the day job tomorrow. I have bills that need to be paid. But I’ll think about that tomorrow. I should probably open my Google Reader. Or get back to the comments that people left me from posts I wrote a couple of weeks ago. But I’ll think about that tomorrow. Booyah blew chunks in the hallway downstairs. I noticed it when we got home, and just didn’t want to deal with it. So I’ll think about that tomorrow. I need to buy cat food. And toilet paper. And Cocoa Puffs. But I’ll think about that tomorrow. Frankly, I’m just too wiped out right now to give a damn. So, tonight, instead of doing all of the things I should be doing, I’m going to relax. And think about the stuff that does mean something. I will camp out at my vast plantation humble abode, and be thankful that we have a roof over our heads. And that the roof is currently not leaking. At least that I know of. I shall be thankful that I’ve hooked up with a great group of bloggers… who don’t seem to be bothered by how sporadically I visit, or respond back to their comments. They understand that I have a life outside of this blog. I shall be thankful for Jay. I love him, and in the midst of all of the chaos, I don’t tell him that often enough. And all of that other peripheral crap? I can’t think about it tonight. So I will think about that tomorrow. Because tomorrow is another day. Right, Scarlett? Do you ever have those days when you feel like you’re juggling multiple personalities? Figuratively speaking, that is? I do. And it feels like my multiple personalities have had a serious conflict of interest lately. Working Me. Mommy Me. Housekeeper Me. Chauffeur Me. Wife Me. Me Me. They’re all there, fighting amongst themselves for a chunk of my time. And, simply put, there are just not enough hours in the day to accommodate them all. So my multiple personalities bicker. And they engage in a perpetual rock-paper-scissors act to see which parts of me take precedence. But at last my internal struggle is over. 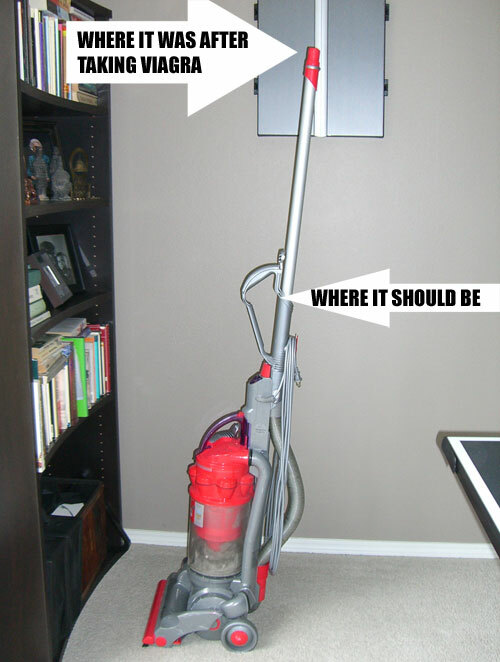 Because, as I was channel surfing the other night, I found the long lost solution. As in the movie, Multiplicity. You remember it? That ’90s comedy film where the husband stumbled upon the good Dr. Leeds, who created various clones of said husband so that he could balance his spouse, career and family? That’s the one. 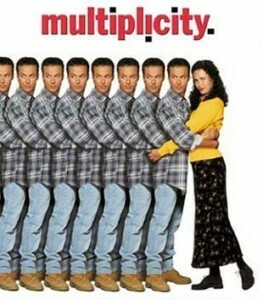 Anyway, as I was watching the movie the other night, I had this crazy epiphany that multiplicity just might be the answer to all of my problems. If I had just a few more of Me around, I could really motor. I started thinking about the possibilities. Like what Career Woman Me would be like. I’m guessing she would always show up to the office on time, sporting an immaculate business suit that did not have a single trace of spit up, playdough or Cocoa Puff residue on it. She would never have to leave the office early to pick up the kids, or guiltily call in sick because one of her kids was oozing green boogers. On days she worked from home, she wouldn’t have to worry about children cackling maniacally in the background during a conference call. Or Mommy Me. She would always have time for playing cars, giving horsie rides, or just stopping to really listen to what her kidlets were saying. She would never rush them out of the house or beg them to stop dawdling. She would stop and smell the roses. Mommy Me would always let her kids play with Moon Dough, slurp spaghetti with their hands, and stomp in mud puddles… because she didn’t care about the mess it made. And what I wouldn’t give for a Domestic Diva Me. My domestic goddess clone would never leave four laundry baskets full of clean clothes sitting by the bedside, unfolded, for weeks. There would not be scary things growing in her refrigerator. She would not have Pizza Hut on speed dial. And she would happily clean up the Moon Dough, spilled spaghetti, and mud stains from her kids’ clothes; she wouldn’t mind the messes that Mommy Me made. 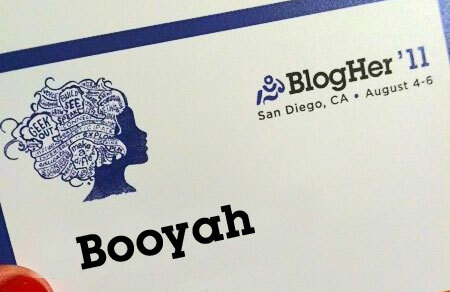 Bloggy Me would not be caught dead with 256 new items in her reader. She would respond promptly to her comments with witty, funny little snippets of goodness. She would remember to check her Twitter account more than once every couple of weeks. Wifey Me would encourage her husband to play golf, go out for a beer, or just hang out with the guys more often. Because, deep down, she knows he doesn’t do that nearly enough as he should. She would not scoff at the way he attempts to put away the dishes, even if she can never find anything he puts away. (Because she would have time to re-put-away the dishes that didn’t find their proper home.) And she would always remember that her husband is a person, a man, and the one she fell in love with 15 years ago. And Me Me would make time. Time to get a pedicure, or a haircut. Time to go on a date night with the ball and chain husband. Time to relax. Or just veg out and do nothing at all. Me Me would take more time to do things that she really wanted to do, as opposed to the things that she felt like she needed to do. And she would not feel guilty about it. Not one bit. Yep. I think multiplicity is the way to go, indeed. Personally, I’m thinking the whole strategy is pretty brilliant. And as soon as I figure out a way to contact Dr. Leeds, I’m so cloning myself. Now, does anyone have the phone number of Dr. Leeds? 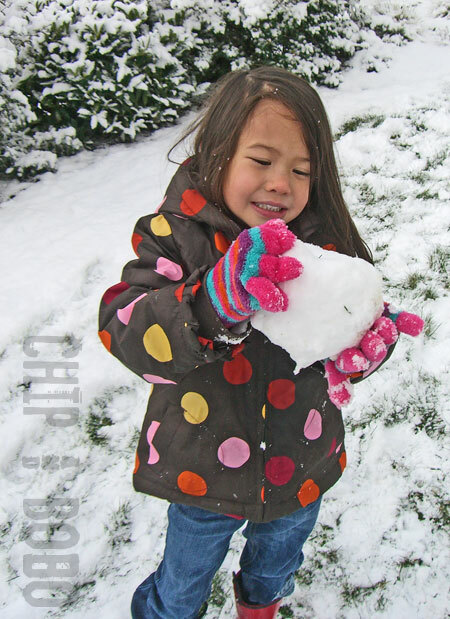 When I was little, I loved snow days. I would squeal with delight when I would wake and see the ground covered with a blanket of fresh white snow. We would rush to get our rickety Radio Flyer sled from the garage, and we’d take turns pushing each other down the steep driveway in front of our house. We’d make snow angels until our little butts were cold and numb. And then we’d tromp inside for steaming mugs of hot cocoa with melted mini marshmallows. But, somewhere along the line, something changed. All the magic and excitement I saw in snow days gave way to annoyance, frustration and stress. As an adult, I can’t stand snow days. Because, now, when I think of snow, I think of things like school closures. I envision being stuck in gridlock traffic with a bunch of Oregonian yahoos that don’t know how to drive in the snow or ice. (And yes, I fully admit I’m one of those yahoos that doesn’t know how to drive in the stuff, either.) I have fears of being trapped inside the house for days with two stir-crazy kidlets. What if we run out of fruit or milk? Or, worse yet, beer?? These are the reasons I don’t like snow. So when I woke up this morning to fresh powder, I was already stressed out. The traffic cams showed delays and accidents. Almost all of the schools in the city were shut down. The kids’ preschool was scheduled for a delayed opening. And today was the day I was supposed to go into our office downtown. The snowpocalypse had arrived. All 2 inches of it. My kids, however, did not see the urgency in the situation. I was about ready to blow a gasket. I had meetings to go to today. I had an hour drive into the office… with yahoos on the road! On a normal day, I would have been in the office already by now. Did they not understand that the snowpocalypse was here? And then I realized. They did not. They saw only the beautiful white fluffy stuff on the ground, just begging to be frolicked in. I looked at the clock. I looked back into the eyes of my kids. 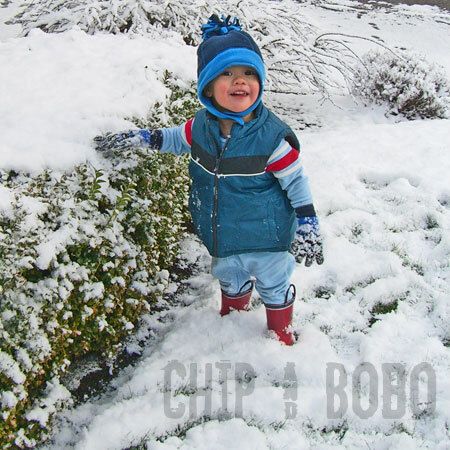 And I realized my son, just turned two, had only seen snow a handful of times. He’d never played in it. So we detoured. I changed out of my business suit, pulled on my boots, and we went outside. We attempted to make a giant snowman. 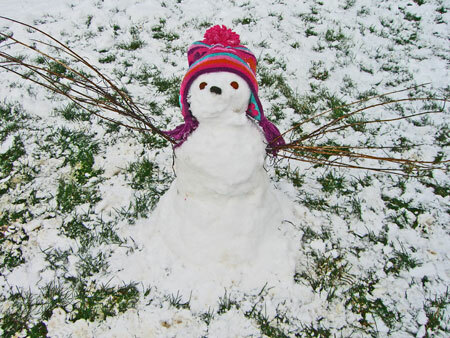 We realized that was too much work, and made a miniature, 2 foot snowbaby instead. By the time we came back inside, changed into dry clothes, and got the kids dropped off at preschool, the snow was already melting. But as I drove into work, I felt a little differently about the snow. For the first time in a long time, I had seen it briefly as I did when I was little. It had been beautiful. New. And exciting. I had seen snow through my kids’ eyes. When I finally arrived in the office, I was obscenely late. But I had built a snowman. And the earth didn’t end because of it. 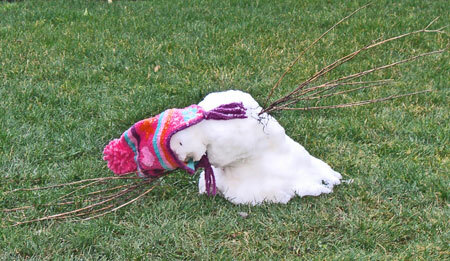 A tiny, pitiful snowbaby looking all droopy and sad. It was the only evidence that remained of the snowpocalypse. It was the only evidence of the best morning I’ve had in a long time.